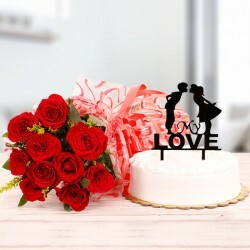 Shopping for the perfect anniversary gift? 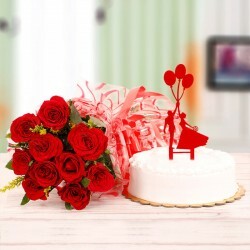 Be it the first official anniversary or a 25th one, select from a wide selection of anniversary roses, bouquet of beautiful carnations, cakes and more. 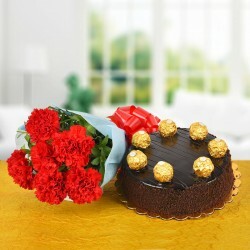 Get your flowers and cakes delivered to the destination of your choice in as short as 3 hours of time. 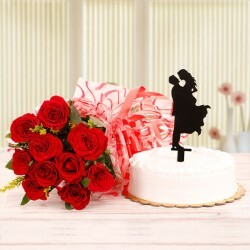 At MyFlowerTree, we have a wide selection of personalized gifts, flowers and cakes for anniversary and other occasions. 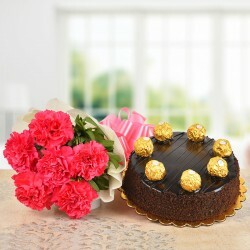 Our high-end services include state-of-the-art product delivery with foremost concern of customer satisfaction. 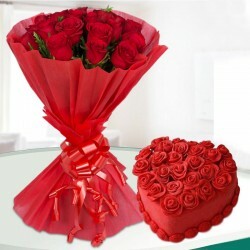 Giving prime importance to product quality and timely delivery, we have provided you with most dedicated customer support staff to guide you in placing your anniversary flowers and cakes online order and giving you the best experience. Our network spreads across the whole of India and some international locations viz. Australia, Canada, France, Malaysia, Qatar, South Africa, Sweden, UK, among others. We have been serving over 400 cities for the past 8 years. 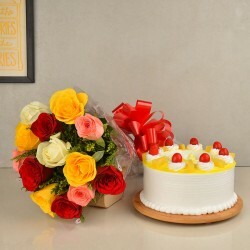 Being a one-stop shop for all your online flowers and cake shopping, we deal in providing the best flowers and cakes for husband as well as wife. Serving thousands of satisfied customers with our valuable services, we intend to continue doing so in the future as well with our unparalleled customer experiences. 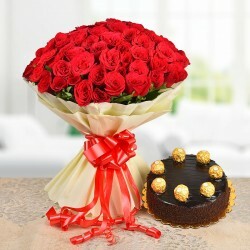 Have fresh, beautiful flowers hand-delivered by our florists at your desired destination at the time you tell us to. 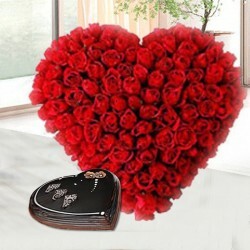 Choose us once and you'll be glad you did! 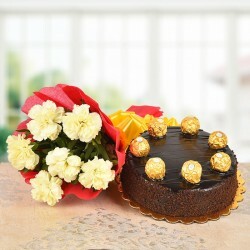 Products in this category have been rated 4.6 out of 5 based on 116 reviews.